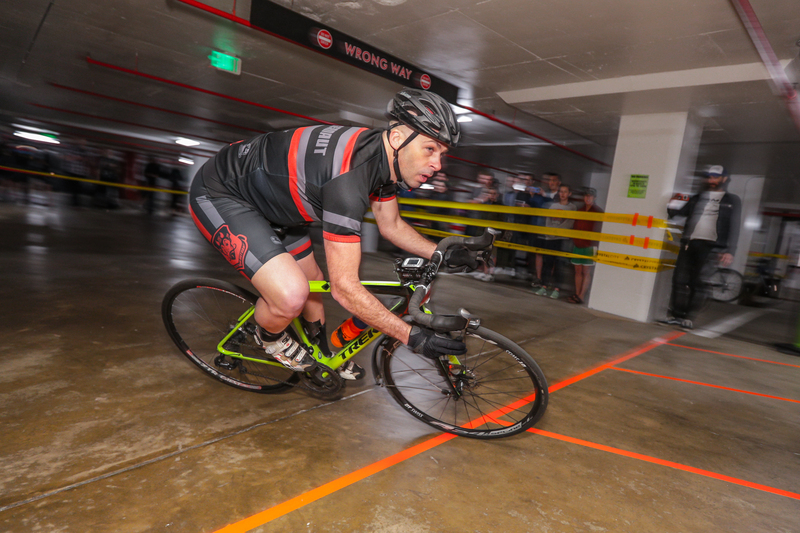 For year 3 of Crystal City BID’s Wednesday Night Spins we have relocated to a new parking garage. 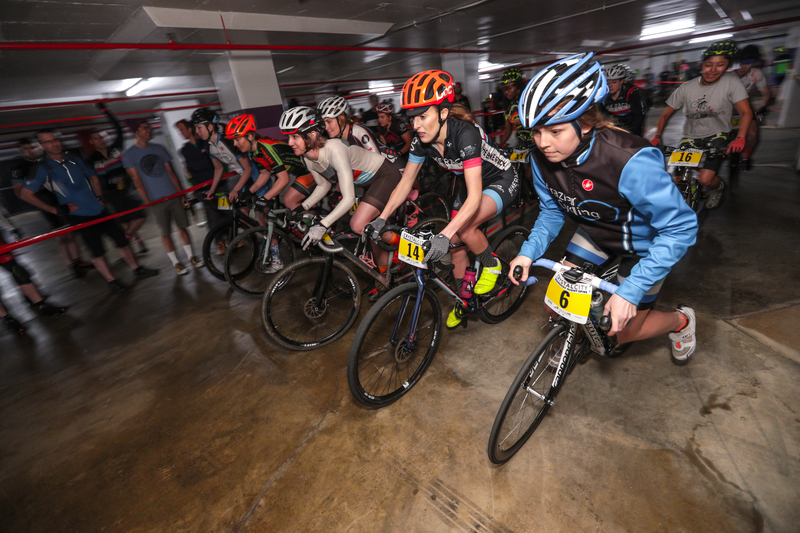 This season we have added a second level to our race course and created a fast, fun, course that provided fun races all night long. 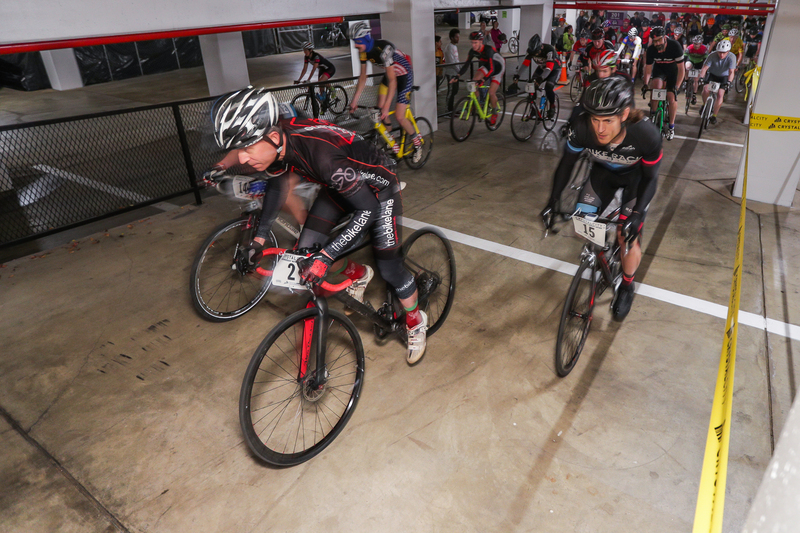 The sold out beginner field started the season off with 48 riders buzzing around the near-carless garage. 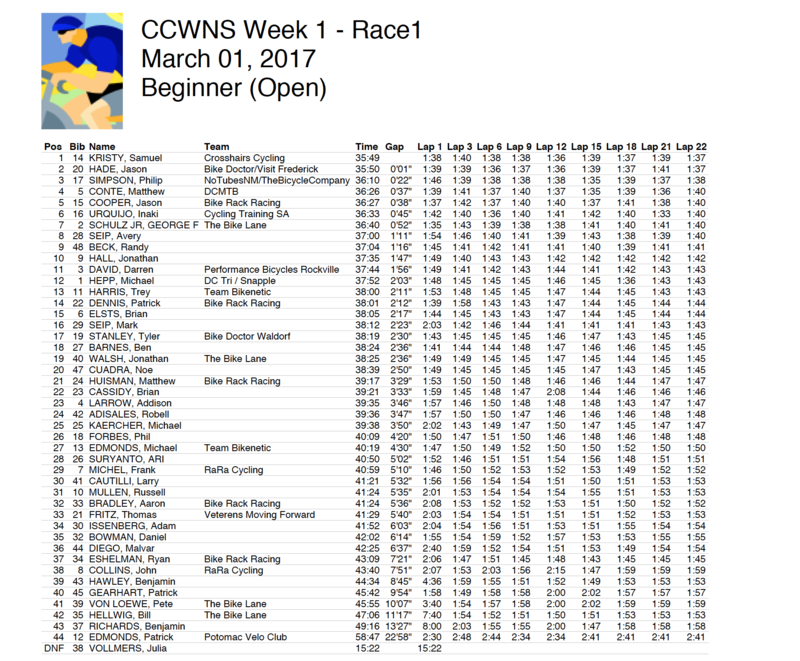 A strong women’s field raced second. Great to see this category continue to grow. 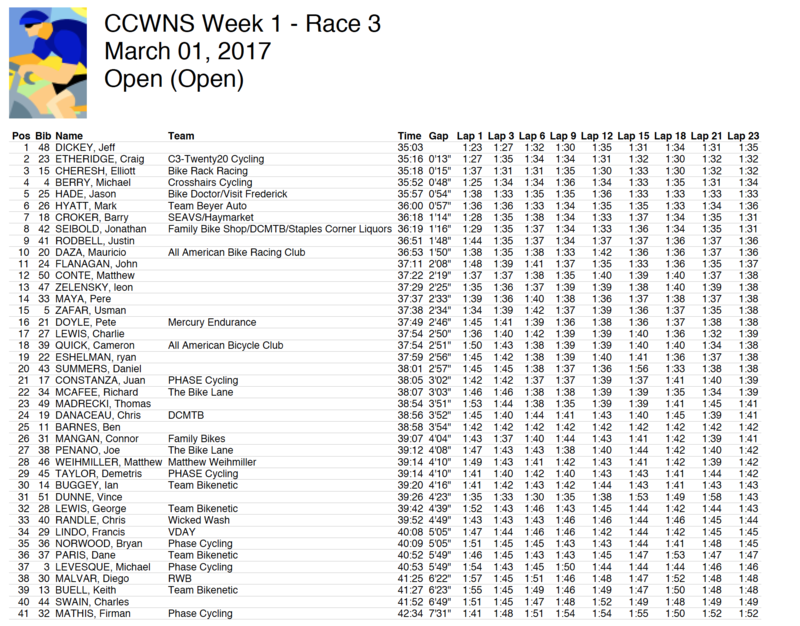 In the night’s final race, Jeff Dickey and his fendered bike took an early commanding lead and an impressive win.